Hannibal asks Will why he told Mason that he wants to kill him, they discuss whether Mason should be murdered, and Will envisions Hannibal being eaten by Mason's killer pigs. Hannibal has another session with Mason during which Mason ends up stabbing Hannibal's leather chair and confronting him as to what sort of game he and Will are playing. He stabs the chair again - a likely unwise move against a posh cannibal. 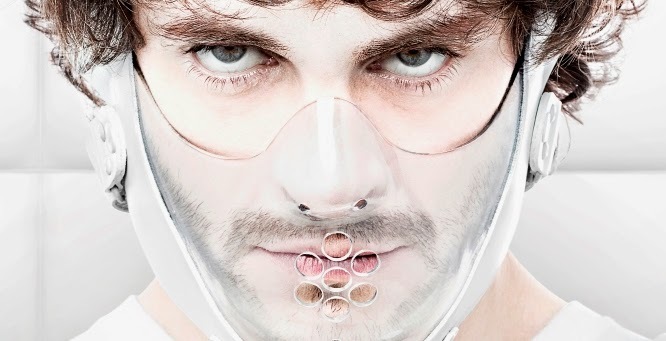 Will meets with Jack and tells him Hannibal is trying to manipulate him into killing Mason but he believes he can manipulate Hannibal into killing him instead. He says it shouldn't be too difficult, since Hannibal already finds him rude. They later meet with Bedelia, who tells them that although Hannibal was her patient, she was under her influence. When Will asks about an attack from one of her former patients and the report saying that he swallowed his own time, she replies that it wasn't attached at the time before saying that she killed him. She believed it to be self defence at the time but adds that Hannibal persuaded her to kill him. She asks Will if Hannibal has ever tried to persuade him to kill someone and warns that it will likely be someone he loves and he will think it is the only way. She lets Will know that Hannibal will be caught because of his propensity for self-congratulation and whimsy. Hannibal and Will discuss dreams and Hannibal says that Will is waking up to he really is. Hannibal says that Mason is a problem and likens problem-solving to hunting. Will tells Hannibal he is fostering co-dependency by trying to get them to kill together. Will notes that he did the same thing to Abigail. Hannibal and Jack sit down for dinner together. Hannibal has prepared a fishy gelatine dish over which he and Jack discuss whom is pursuing whom, without ever being upfront of course. Mason's henchmen later pay him a visit to try to bring him to Mason. He manages to fatally wound one of them but the other uses a stun gun against which even the great Hannibal Lecter is no match. He ends up restrained and hung up while Mason plans to lower him into the den of man-eating pigs after cutting his throats. Mason wants Will to do it but then Will slashes Hannibal's restraints instead. Will is knocked out by Carlo, Mason's henchman. When Will wakes, he sees a blood trail and finds that Carlo's lower half has been consumed by the man-eating pigs. Mason wakes and is given psychedelic compounds by Hannibal. Hannibal tells him to show him "how Papa would check the depth of a pig's fat" on himself. Will gets home and finds that Mason is slicing pieces of his own face off and feeding them to Will's dogs. Hannibal is there too and assures Will that he has merely broadened his dog's palate as he did Will's. When Mason comments that he's hungry, Hannibal tells him to eat his own nose, which he does and compares his taste and consistency to chicken gizzard. Will won't kill Mason and tells Hannibal that he's his patient and should do what he thinks is best for him. Hannibal heads over and snaps Mason's neck. Much to our surprise, Mason is not dead, merely paralysed. Jack pays him a visit and Mason won't implicate Hannibal, simply saying that he took a tumble in the pig pen. He's either afraid of Hannibal or hopes to seek vengeance on his own terms. Either way, he is not of any help to Jack's investigation. Margot comes in after Jack leaves and tells Mason that she wants to take care of him just as he had taken care of her. Needless to say, that doesn't bode well for Mason. Hannibal and Will discuss Achilles and Patroclus. Will appears to have truly become set on getting Hannibal to reveals himself to Jack as the Chesapeake Ripper. Hannibal airs on Fridays on NBC at 10PM.